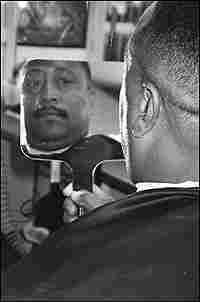 'Cuttin' Up' at the Barbershop The black barbershop provides an open forum for social commentary. A new book, rich with photos, explores that territory. It's called Cuttin' Up: Wit and Wisdom from Black Barber Shops. The black barbershop has long been a kind of open forum for social commentary, a phenomenon noted in many a movie, including Barbershop itself. Now the book Cuttin' Up: Wit and Wisdom from Black Barbershops explores the same territory. 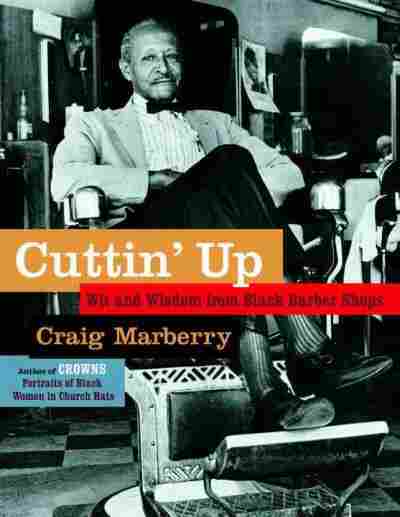 Craig Marberry wrote the book after conducting interviews in black barber shops across the country. He tells Ed Gordon a little bit about what he found. And talk about coming full circle, at least where the lively arts are concerned: Cuttin' Up has also been adapted for the theater, and opens this November at Washington, D.C.'s Arena Stage.